My Relic Knights Kickstarter pledge including the SDE crossover minis arrived and the new SDE heroes from this set are on the top of my painting list now. Before I start with them I’m finishing up two SDE spawns, though. 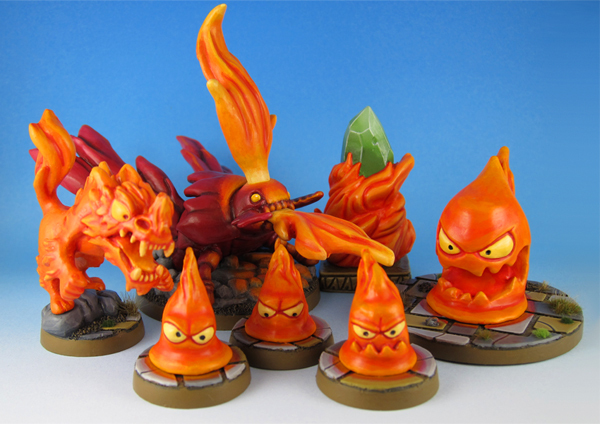 The first of the two, the Fireflow Denizens, are done. They are the first complete spawn I finished for SDE. 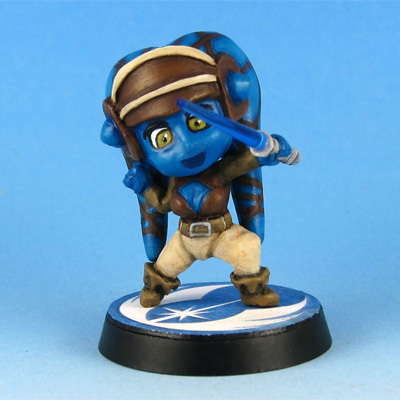 Today I present another one of Velvet Marks custom chibis – Star Wars’s Aayla Secura.